At Sunshine Montessori Nursery, we believe that children should have access to outdoor play throughout the year as many learning experiences happen outside. We therefore ask you to make sure your child is appropriately clothed with a coat and suitable footwear. During warmer months we ask all children to wear a sunhat while playing in the garden. We ask that you dress your child ready for a busy day at nursery. We do not want to limit your child's experiences by worrying about getting his/ her clothes dirty. Water play is usually available, so we ask you to pack a change of clothes for your child each day. 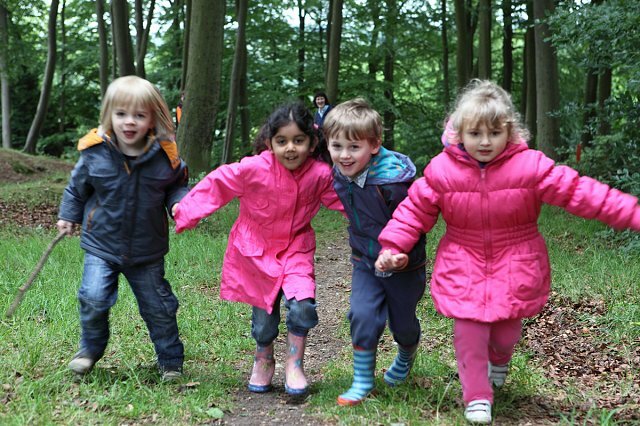 We provide waterproof clothing for Forest School sessions.